Those responsible for managing and protecting high-value assets, processes, and facilities demand the quality fire suppression offered by the ANSUL® FM-200™ Clean Agent Fire Suppression System. FM-200 systems are internationally accepted as providing reliable, effective, affordable fire protection solutions for applications found in telecommunication sites, data centers and archives, museums, oil and gas facilities, power plants, and more. 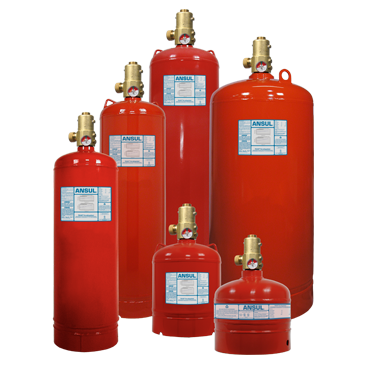 The ANSUL FM-200 Clean Agent Fire Suppression System is approved by Factory Mutual (FM) and listed by Underwriters Laboratories (UL) for Class A, B and C fires. Safe for use in occupied areas at the design concentration, the system helps protect critical infrastructure and delivers effective asset protection. For more information regarding FSE clean agent fire suppression systems please don’t hesitate to contact us.